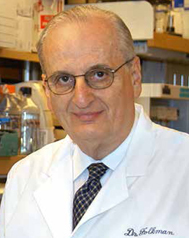 An American medical scientist best known for his research on tumor angiogenesis, the process by which a tumor attracts blood vessels to nourish itself and sustain its existence. He founded the field of angiogenesis research, which has led to the discovery of a number of therapies based on inhibiting or stimulating neovascularization. Invented an implantable device for timed drug release and donated it patent-free to the World Population Council; it contributed to what is now known as Norplant. Was a member of the National Academy of Sciences, the Institute of Medicine, the National Academy of Arts and Sciences, and the American Philosophical Society, among others.